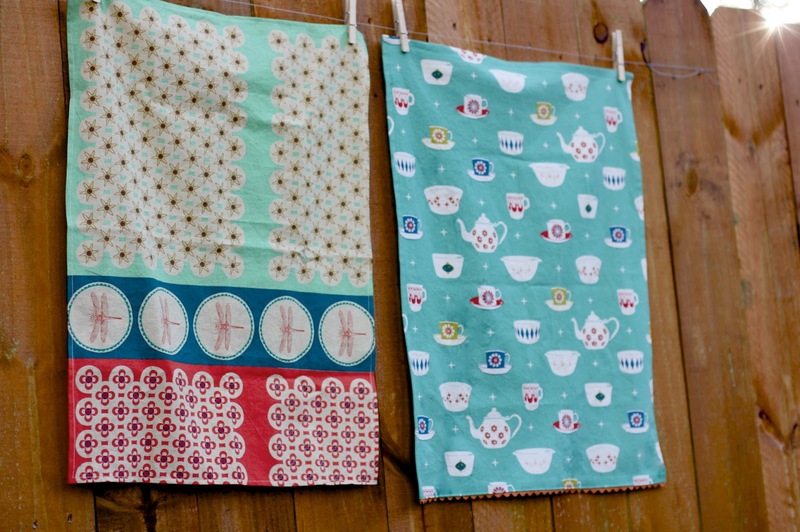 Stitched Together: Simple Sewing - Dishtowels! 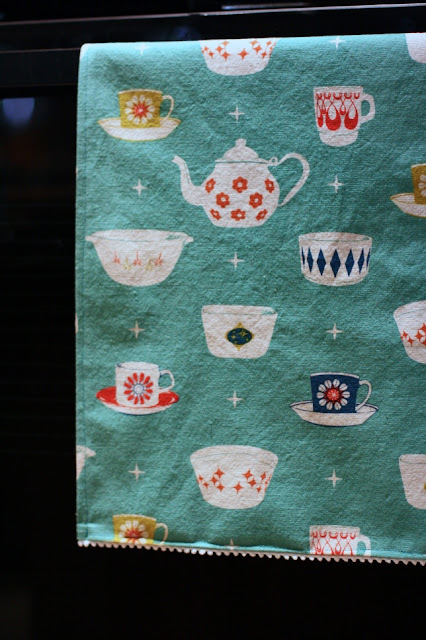 There's something special about pretty dishtowels hanging in the kitchen. They make great gifts, too. Yet for whatever reason, I always imagined sewing my own dishtowels to be an elaborate undertaking. I envisioned appliques and hand stitching. When I considered the time it would take to make such a towel, I opted to gift the fancy store bought version instead. One morning I received a newsletter (from here) saying cotton/linen blend fabrics make fabulous dishtowels. I eyed their gorgeous prints. 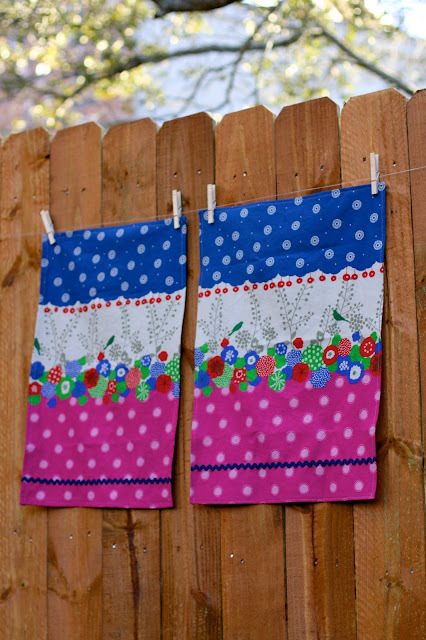 I realized I could make some lovely dishtowels, for at least half of the price of the expensive store-bought version. If you go for 100% cotton, you could make at least 4 dishtowels for the price of one expensive one. How awesome is that? Are you ready to make some dishtowels? Let's get started. You can find some great, inexpensive trims here. 1. 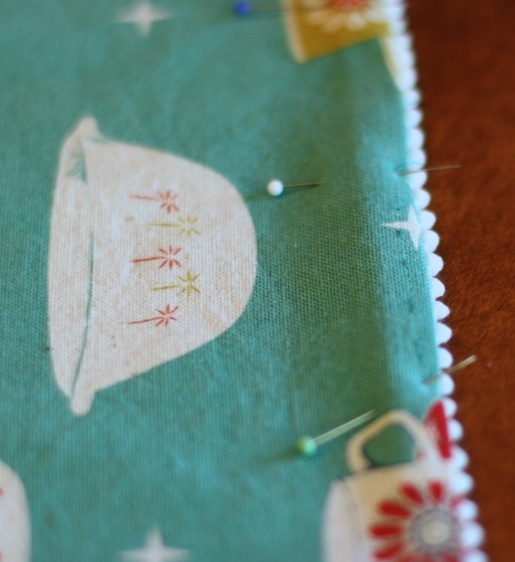 Cut the dishtowel to the size you like best, factoring in 1/2" or so for the hem. Mine varied in size depending on the amount of fabric I had on hand. I liked 27"x 20" best, followed by 27"x 17". and rickrack to this one. 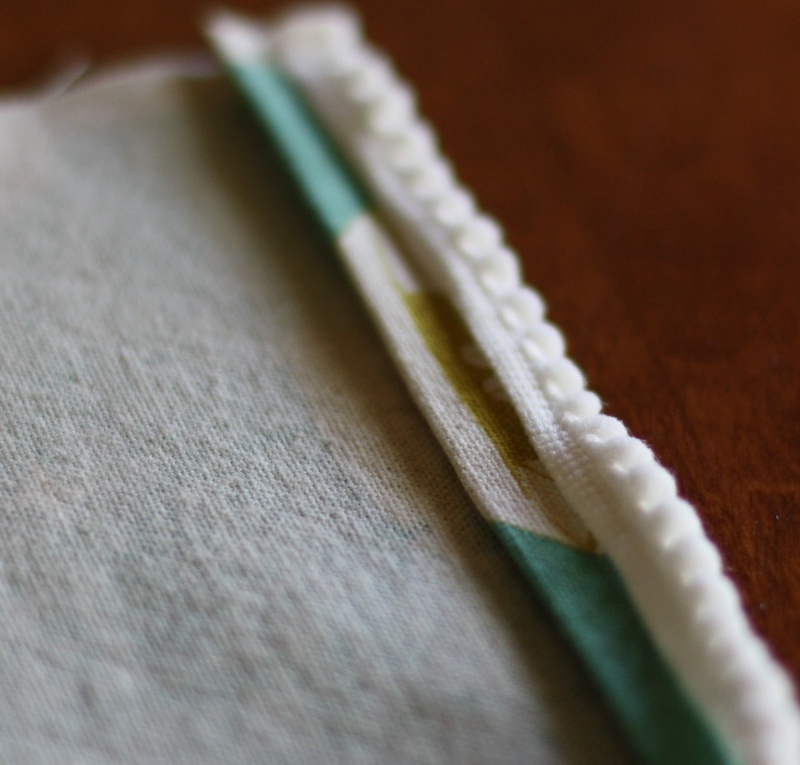 To do this, fold and press the bottom edge of your fabric over by 1/4". Fold over again - 1/4", enclosing the raw edge. Press. When adding rickrack, you want to line up the center of the rickrack with your hem bottom edge so only the bottom edge of scallops show from the front. If you're a pinner, you may chose to pin in place instead. You could also add rickrack to a different part of the towel. 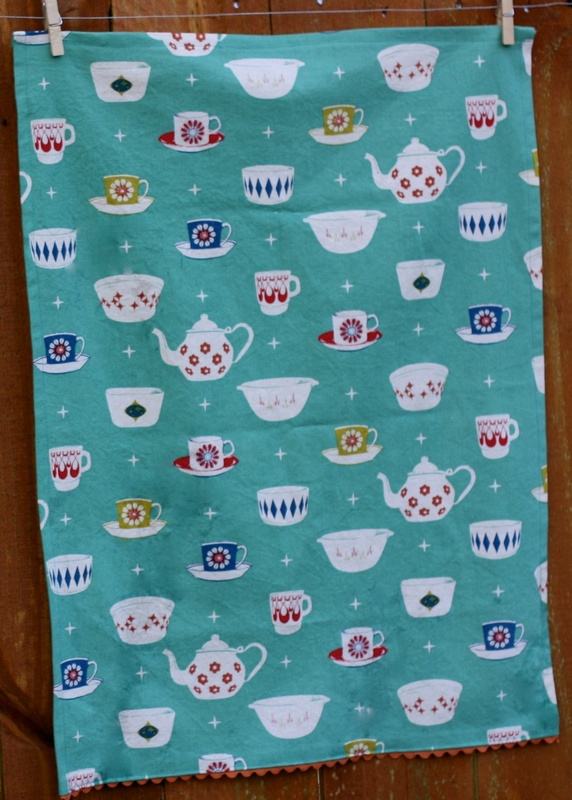 Below, I added blue rickrack to balance all of the pink in this print. I chose where I wanted the rickrack to be placed on the towel and then drew a straight line with my fabric pen using a straight edge. I laid the rickrack across the line and sewed it on - no pins! 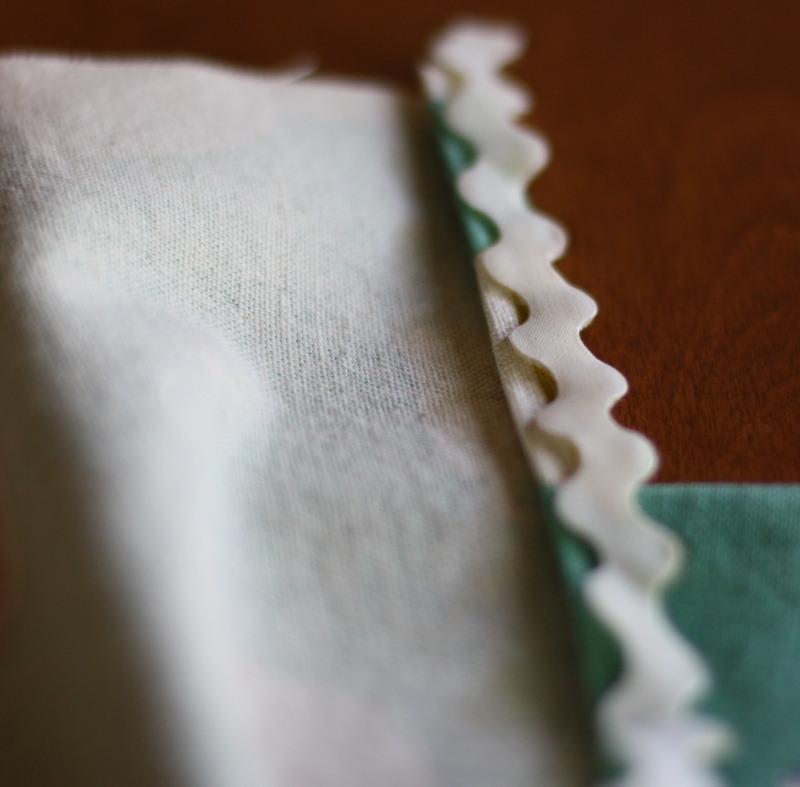 Be sure to add it before you hem the edges of your towel, so you can enclose the raw edge of the rickrack in your hem. 3. I prefer the feel of a narrow hem with my towels, so I turned the raw edge over only 1/4" or so, and enclosing it by folding and pressing again creating a 1/4" hem. Repeat on all sides.